Mia joined Wilson King as a junior associate in June 2017. 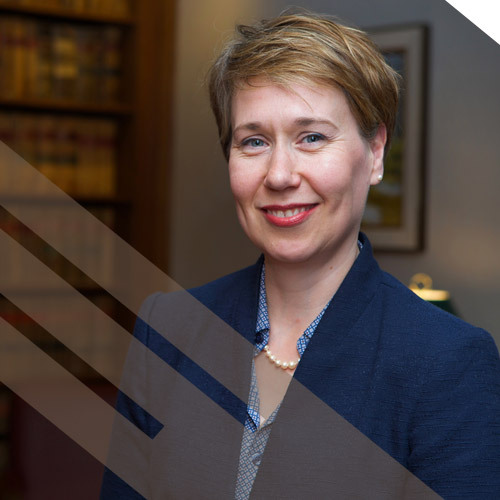 She was called to the bar in 2017 after earning her Bachelor and Master of Arts degrees from the University of Northern British Columbia, her PhD from the University of Victoria and her Juris Doctor degree from the University of Alberta. Mia comes to the law after a career in post-secondary and has taught at the College of New Caledonia, Northwest Community College and the University of Victoria. Mia grew up in Prince George, as did her husband Greg. In her spare time, Mia enjoys visiting with family and friends, walking, hiking, antiquing, reading mystery novels and watching documentaries.